This is the first time i have ever seen art done with nails! 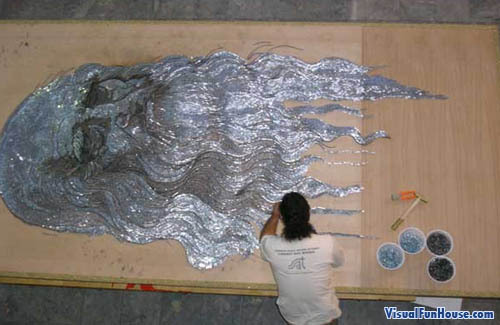 The Nail Art Optical Illusion was created by a one man a hammer and a heck of a lot of nails. 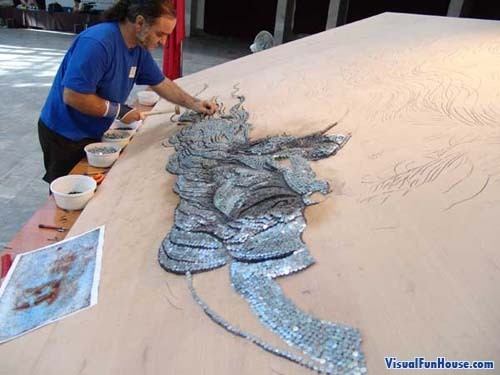 The entire image is created with nails head at different heights to give it depth and dimension. 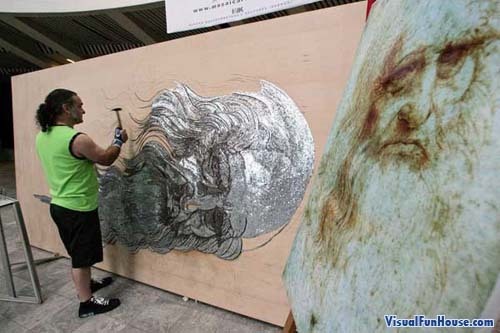 He started with an image, then drew a stencil of that image onto the large piece of ply wood. It would of took a lot of skill to be able to position each nail at the correct height to truly give this image the correct depth and to make it the masterpiece that it has become. just when you think all has been done, someone comes up with the most ‘simple’ concept… and it’s so cool and beautiful!